When you think of terrorism or war, you probably think of explosives, nuclear detonation, or conventional ground troops threatening your life and your home. But there is another very real aspect of terrorism and war: the threat of chemical and biohazard weapons or disasters. So what are these threats? Hazardous chemicals are a simple reality of this world. Whether used in terrorism or warfare or simply leaked out onto an unwitting population as the result of a mass contamination or plant disaster, modern life is simply full of the threat of chemical disasters. One good example is sarin gas which was used on several innocent men, women, and children recently in Syria, prompting a quick response from the Trump administration. The practice of using sarin gas in warfare is abhorred by much of the international community, and yet it remains in use. This and other types of chemicals can cause serious damage, both to our bodies and to our water and food supplies. They can also be dispersed easily, especially in highly populated areas, and in many cases largely undetected. Although many international treaties exist to prevent use of chemical weapons in warfare, obviously, as in the case in Syria, this won’t stop a truly determined, evil person. 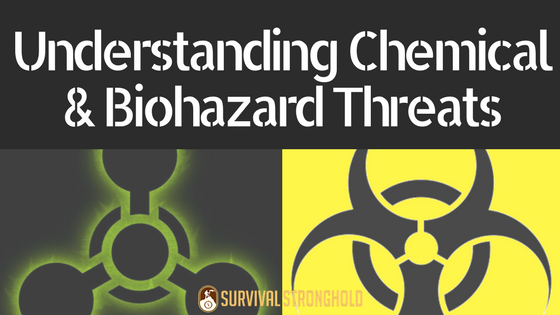 You’ve probably seen “biohazard” warnings in hospitals or laboratories. These are viruses, medical waste, or toxins that pose a risk to our health. Anyone who is old enough to remember the paranoia following 9/11 will know what anthrax is. Anthrax, West Nile virus, typhus, and malaria are all examples of commonly known biohazards. Biohazards can be weaponized or can pose a threat to the population through mass disaster or pandemic. Like chemical weapons, a lot of evil people have and still do invest time and energy into weaponizing biohazards to hurt and kill people. 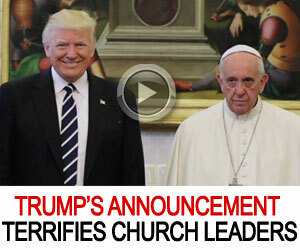 It is still a very real threat to our world, and one we should all be prepared for. So how can you prepare yourself for these threats? Well, I will make sure to dedicate some upcoming material addressing specifics of these concerns, so stay tuned.